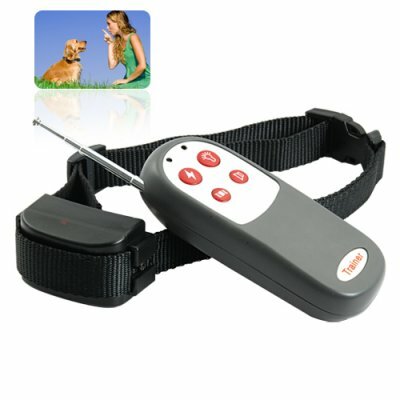 Successfully Added Cleverdog Premium Dog Shock Training Collar to your Shopping Cart. Reseller Note: This factory direct, professional grade dog training collar is finally available to the public at a wholesale price. If you need a smartdog / cleverdog / petsafe brand collar, get the OEM version at 1/4th the price - straight from Chinavasion! I recived this Dog Collar in cca. 14 days in Slovenia ! The Dog Collar is realy Great. The similar product here in Europe cost between 200€ - 300€, but with bigger operational distance. For me 100 meters is more then enough. I bought a few things by Chinavasion and I was always satisfied. Thanks again for your professional bussines!